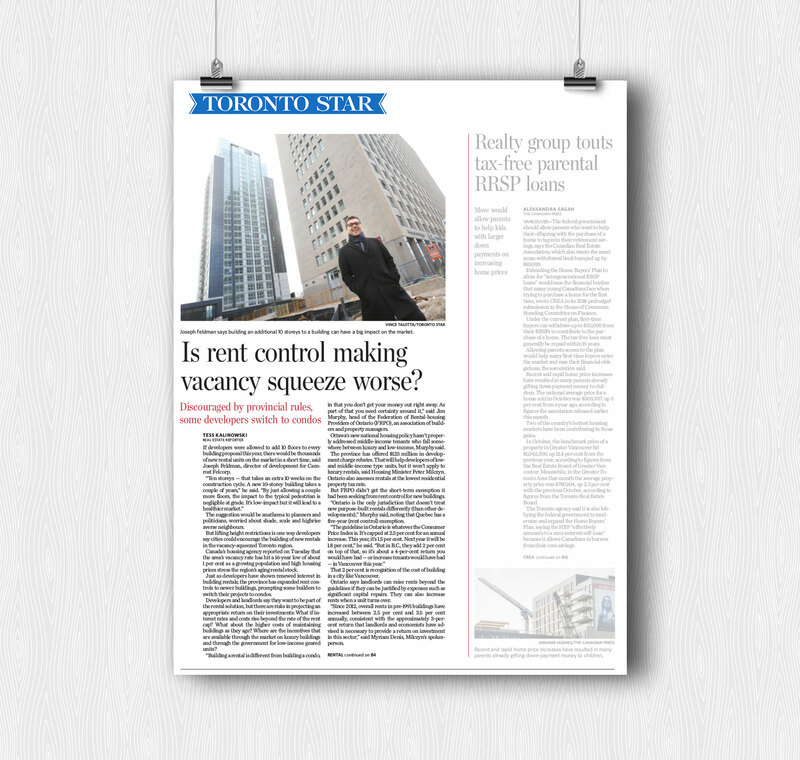 Is rent control making vacancy squeeze worse? If developers were allowed to add 10 floors to every building proposal this year, there would be thousands of new rental units on the market in a short time, said Joseph Feldman, director of development for Camrost Felcorp. The suggestion would be anathema to planners and politicians, worried about shade, scale and highrise averse neighbours. But lifting height restrictions is one way developers say cities could encourage the building of new rentals in the vacancy-squeezed Toronto region. Canada’s housing agency reported on Tuesday that the area’s vacancy rate has hit a 16-year low of about 1 per cent as a growing population and high housing prices stress the region’s aging rental stock.